Robin Hood and King Richard lead the rescue of Ivanhoe. Romanticism was a cultural and intellectual movement spearheaded by poets, artists, writers, sculptors and musicians. Whereas in the eighteenth century men such as Joseph Addison (1672-1719) complained that rural people and provincial towns were a little backwards in terms of manner and breeding, and viewed the urban area as the centre of progress, Enlightenment, and politeness, artists and thinkers during the Romantic period idealised nature and rural areas. Stories and figures from the medieval period provided the Romantics with inspiration to draw upon in their works, in contrast to the neo-classicism of the preceding century. 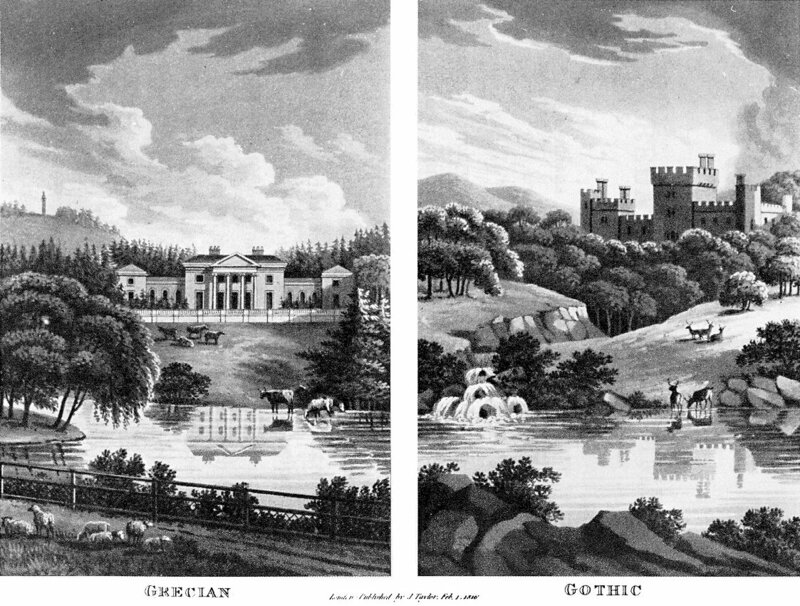 The Romantic period of the late eighteenth and early nineteenth centuries was therefore a reaction to the “rationality” and scientific thought which had been current throughout the 1700s, as well as the increasing industrialisation and urbanisation of the United Kingdom, during which, according to William Blake, “dark Satanic mills” began to appear up and down the country. Robin Hood, living as he did in the forest, was an ideal subject for the Romantics, and the legend provided the middle- and upper-class poets and writers with a locus of nostalgia with which to glorify the medieval period. To the Romantics, the medieval period was almost like a rural idyll, when men were free and not wage slaves, and a period of paternalism and harmony between the different sections of society. The author yearns for a bygone age, in which ‘men knew neither rent nor leases’. If Robin were to be alive in the 1800s, exclaims the author, ‘he would craze’ at the deforestation and urbanisation taking place in Britain which was steadily eroding his favourite haunts. One of the reasons that Robin Hood’s “profession” of highway robbery was dying out in the 1800s, says Gillian Spraggs, was because areas such as London had rapidly expanded, and former villages such as Hackney and Lambeth were now a part of the sprawling capital. John Keats (1795-1821) [Source: Wikipedia]. 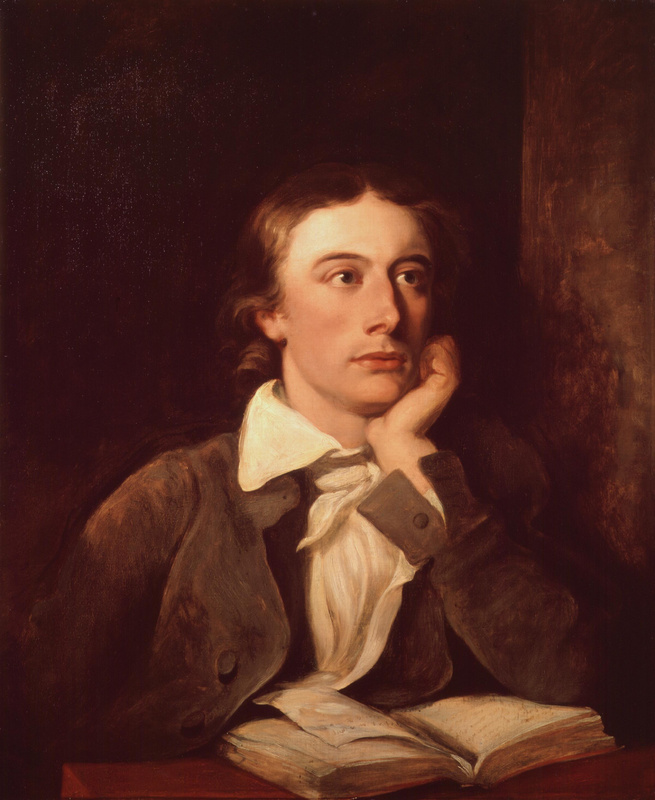 Moreover, Keats laments the change in social customs which was occurring in the early nineteenth century. In modern and urbanised societies, where people are anonymous to one another, written contracts and money dominate relations and interactions between men. A person’s “word” is no longer surety enough. Similarly, Karl Marx in The Communist Manifesto (1848) would write that relationships between men had been reduced to what he called ‘the callous cash nexus’. So if the medieval Marian were to return to the 1800s, she would be shocked that she would have to purchase something which previously had been freely available to her. There was indeed many aspects of the medieval period which were seductive to the Romantics, and this accounts for the ‘cult’ of ‘merrie England’ which persisted throughout the nineteenth century. However, the Romantics, as their name implies, were guilty of romanticising the past. Medieval England was a feudal society. Men weren’t free, and at the risk of sounding cliché, for many people in the medieval period, life was nasty, brutish and short, and Robin Hood, if he existed, would have been a common criminal. Lords, Ladies, Maids, and Servants…Do we romanticise the past ourselves? There is a danger of overly romanticising any period of past. As an example think of the way that Julian Fellowes has recently created a “quaint” view of Edwardian life in his series Downton Abbey. 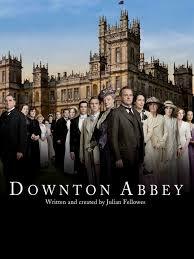 He presents Lord Downton as a benevolent aristocrat, who takes care of his servants, and shares in their troubles. The reality, of course, is that the Lords were despised in the Edwardian period by a great many. In fact, the Liberals’ slogan for the 1910 election was “The Lords Must Go”, in reference to the increasingly despised way that the House of Lords blocked reforms which would benefit the common man. In short, despite what the Romantics thought, the “grass wasn’t greener” in the medieval period. Addison, J. The Spectator, July 17th, 1711 (No. 119). Keats, J. Robin Hood: To a Friend (1820). Kelly, G. English Fiction of the Romantic Period, 1789-1830 (London: Longman, 1989).